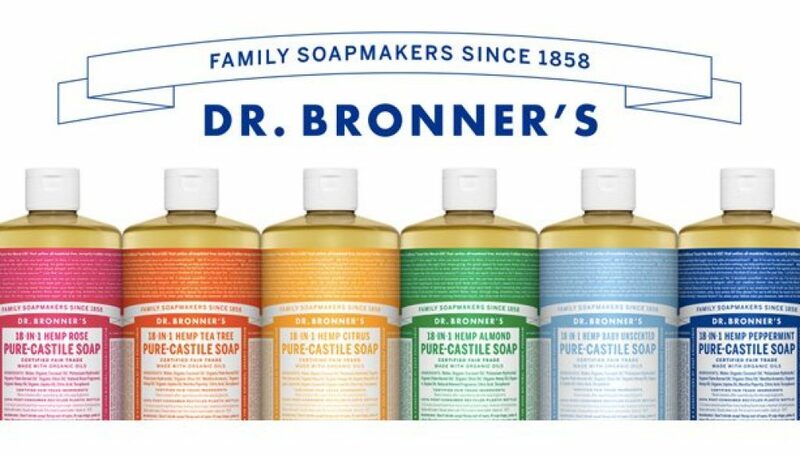 Dr. Bronner’s is pure castile soap that you can use in 18 different ways. It’s also cheap, nontoxic, long-lasting, and ubiquitous! Okay, maaaaybe “panacea” is a stretch. 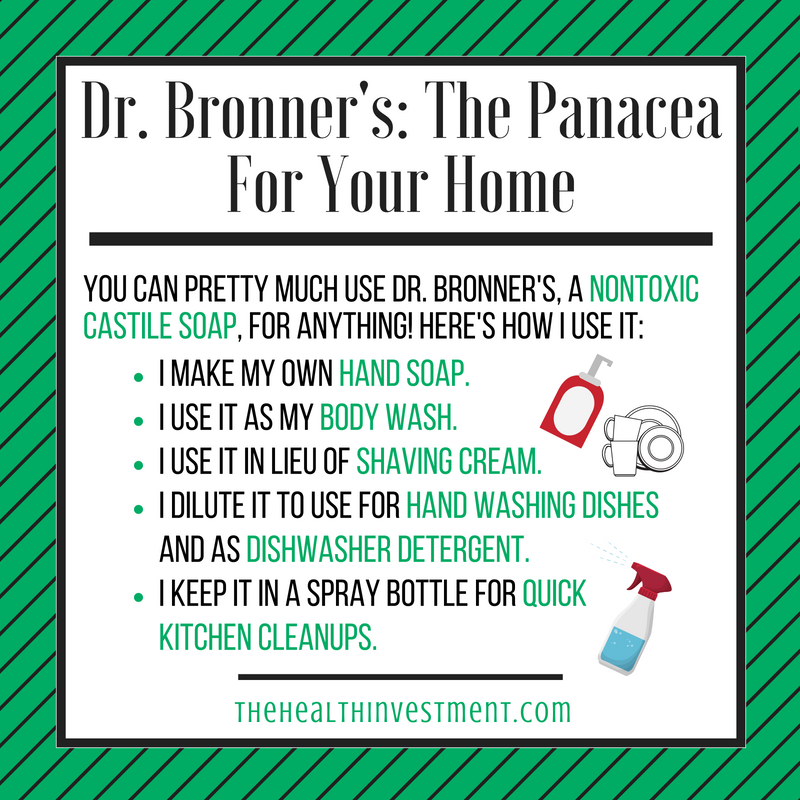 Dr. Bronner’s can’t cure disease, but it can definitely solve most of your cleaning woes! It’s not antibacterial. We’re actually too clean these days, people! Also, antibacterial soaps contain more chemicals. It scores an “A” on Environmental Working Group’s Guide to Healthy Cleaning, meaning it’s completely nontoxic. It lasts foreverrrrrrr. One 32-oz. bottle can last several months. You can buy it pretty much anywhere (Amazon, Trader Joe’s, Whole Foods, Target, Walmart…). Dr. Bronner’s provides a dilutions cheat sheet. You can use it 18 different ways! I make my own hand soap by combining half Dr. Bronner’s and half water in refillable foaming soap dispensers. I lather it up to use it in lieu of shaving cream. I dilute it with water (about a 1:10 ratio of Dr. Bronner’s to water) and use it for both hand washing dishes and as my dishwasher detergent. I keep a spray bottle with ¼ cup soap and the rest water for quick kitchen cleanups and all-purpose cleaning. I tried using it as shampoo, but that was a major fail. My hair did not like it. In the dilutions cheat sheet, you’ll also learn how to use it for cleaning windows, toilets, fruits/veggies…and even dogs! Bottom line: Dr. Bronner’s is cheap, nontoxic, long-lasting, and ubiquitous; you can use it for almost anything. Try it out for yourself!